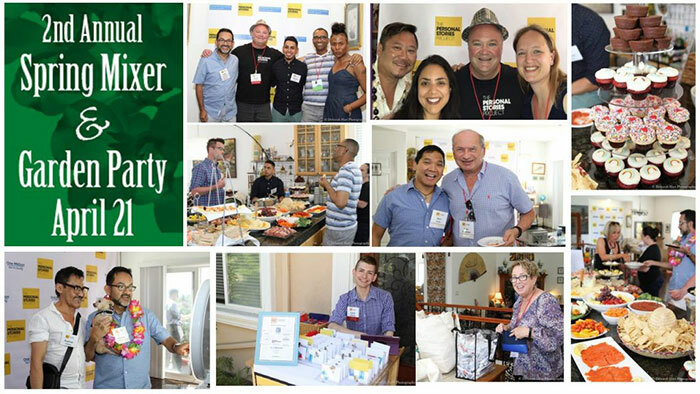 The Personal Stories Project and One Million Kids for Equality held their 2nd Annual Spring Mixer & Garden Party on Saturday, April 21st at the home of Joseph Chan and Charles Chan Massey in Los Angeles. More than 75 guests attended and just over $10,000 was raised. 10% of the net proceeds will be split between 2018 Event Community Partners Camp Brave Trails and the Trans Latin@ Coalition to help further their organizational goals. The balance will be equally divided between The Personal Stories Project and One Million Kids for Equality to support their respective missions of collecting and sharing stories from the LGBT community to help change hearts, minds, and lives. Guests also had the opportunity to assemble hygiene kits which will be donated to the Trans Latin@ Coalition’s drop-in center located at The Center for Violence Prevention & Transgender Wellness in Los Angeles. Germán Toledo Carrero, a composer, pianist, keyboardist, and producer from Santiago Chile who is currently studying in Los Angeles, provided entertainment for the event. CLICK HERE for a gallery of photos from the event on Facebook.